Conan O’Brien is having lots and lots of fun these days — so much so that he can feel the time flying; 2016, he feels, is zipping by. “I went to a doctor the other day, and he said, ‘Let me explain to you that time accelerates as you get older …,’” the brilliant late-night comic, writer, producer, and all-around entertainer said in a recent phone conversation. On Saturday, April 16, UCSB Arts & Lectures hosts the wildly popular and prolific TV and web personality at the Arlington Theatre, where he will answer audience questions and speak about his life and one of his favorite comedic subjects: himself. Since his Emmy Award–winning early years as a writer and actor on Saturday Night Live and then as a writer and producer for The Simpsons, time has brought an ever greater abundance of opportunities for O’Brien to flex his comedic muscles and engage with his audience. He has been filling his recent months with a wider range of experiences and locales, like a visit to South Korea this year or a trip to Cuba last year. “I want to have a body of work that people are still discovering long after I’m gone, which my doctor says will be very soon,” he said playfully. This character flexibility makes a lot of sense for someone who has a background in improv comedy. In fact, O’Brien cites L.A.’s Instaplay — which played each Saturday night and was co-created in the 1980s by beloved Montecito residents Bill and Cheri Steinkellner — as a foundational cornerstone to his comedic development. He and friend Lisa Kudrow would watch Instaplay while they were students at The Groundlings. “We were starving for good improv, and we went to Instaplay and said, ‘This is it,’” he recalled. With blazing red hair coiffed to perfection with mayonnaise and tile grout (his secret), O’Brien has a bright future ahead. As for what’s next, he said he might get started on his modeling career. “I’m happy to come to Santa Barbara and do a lot of local catalog work,” he joked. When asked if he had any final word, he said, “Just say at the end, ‘When I got off the phone, I realized I had spoken to a truly great man.” I hung up and realized I had spoken to a truly great man. 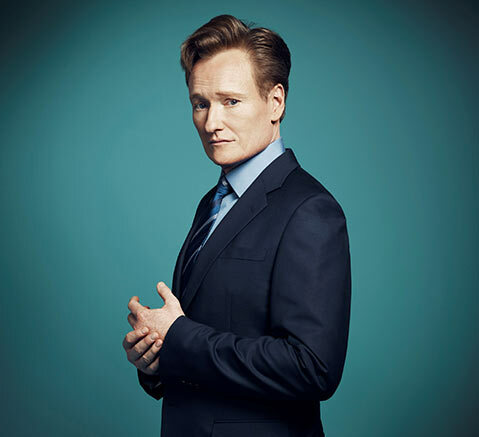 UCSB’s Arts & Lectures presents Conan O’Brien Saturday, April 16, at 4 p.m. at the Arlington Theatre. For tickets and more information, call (805) 893-3535 or visit artsandlectures.sa.ucsb.edu.